Your body goes through a lot, each and every day. Between digesting your food, protecting you from outside diseases, carrying you from place to place, and performing the very functions that keep you alive, the human body certainly works itself to the bone. That’s why, every now and then, it pays to give your body a thorough detox. What’s a detox? 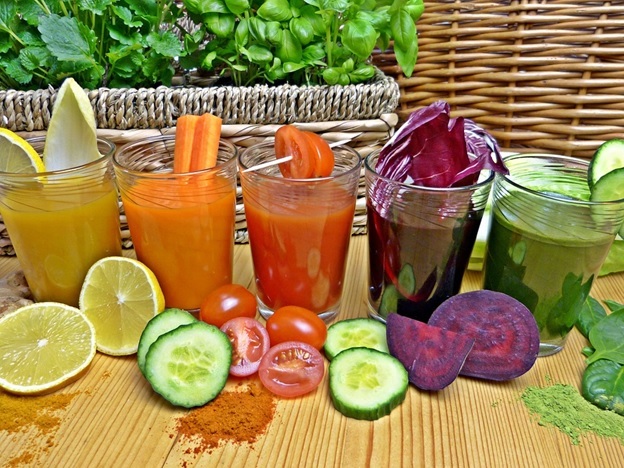 Well, it depends on your personal preference to some extent, but in general a detox is considered a period in which you abstain completely from unhealthy substances such as alcohol and sugar and replace them with antioxidants, healthy veggies, and other beneficial ingredients. Sometimes, your body gives you signals that it’s time to embrace a detox and get back on a healthier track. If you have any of the following symptoms, it’s probably time to toss the soda and pick up some green tea. 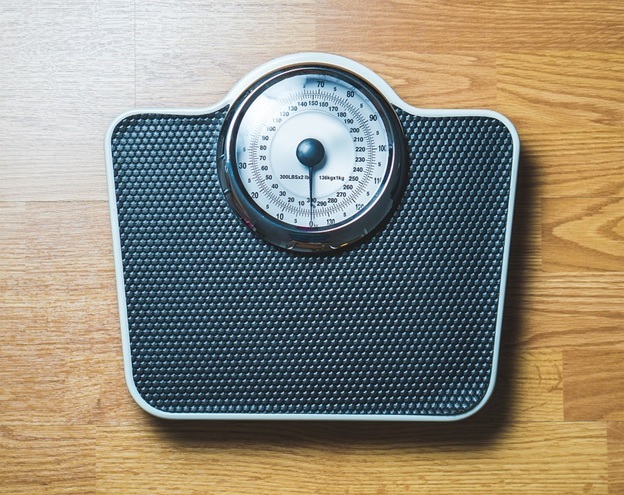 Most Americans’ struggles with weight begin in the kitchen, and it comes as no surprise that a large percentage of the population is overweight or obese. Manufacturers slip added sugar into more than 74 percent of the packaged foods people consume, and the majority of the salt we eat comes from processed meals and restaurant food. Even if you’re trying to lose weight, it’s almost impossible to do so without accidentally consuming sodium that makes you bloat and sugar that’s more than a little addictive. By doing a detox, you give your body a chance to adjust to life without hidden calories in the form of sugar and salt. The longer you detox, the less your body will crave those ingredients and the easier it will be for you to maintain a healthy weight. Keep in mind that the average detox lasts between seven and ten days, so don’t overdo it without speaking to your doctor first. With so many people succumbing to the dreadful flu this year, pretty much everyone is looking for a way to pump up their immune system and combat nasty illnesses. Although sleeping enough, working out, and eating right can help you do that, a detox is another fantastic way to boost your immune system. Many detoxes encourage people to drink teas that cleanse the body and give you added protection against disease, like chamomile or dandelion. If you’re still mourning the loss of the Teavana shops, consider these Teavana replacements before you buy anything. Detoxes also encourage you to eat foods that will give your body plenty of energy for fighting off viruses and colds. Fruits like blueberries and strawberries might contain a little all-natural sugar, but they also contain vitamins that will protect you during the sickest times of the year. Believe it or not, your mood swings might actually correspond to the food and drink you’re putting in your body. Sugar and other unhealthy ingredients can cause you to experience extreme highs like a sugar rush, as well as extreme lows. People who eat too many unhealthy foods often struggle to regulate their moods properly. By detoxing, you give your brain a break from constantly dealing with over-activity in the serotonin pathways. If you’ve been feeling off lately, or if you’ve been swinging between joy and depression far too often, then it might be time to reset your body and let your brain relax a little. As many as 60 million Americans are affected by some sort of digestive disease, and problems with chronic constipation, gallstones, gastrointestinal infections, and irritable bowel syndrome are all too common. In general, digestive disorders can be drastically improved by altering your diet. That’s why detoxes can help your body regulate itself; most of them encourage users to eat plenty of cruciferous vegetables, which are full of fiber that helps with digestive problems. Additionally, detoxes usually involves drinking a substantial amount of water instead of soda or alcohol, which can help your body flush itself out properly. Keep in mind that your favorite caffeinated coffees can also cause problems, so it might be worth taking a break from all your favorite sugary beverages, not just alcohol and soda. Spring is coming, and you know what that means: horrendous seasonal allergies. As many as 30 percent of adults and 40 percent of children in the United States deal with allergies that accompany the different seasons, and springtime is one of the worst for chronic allergy sufferers. If you’re already packing your bags with boxes of allergy pills in preparation for the coming months, it might be time to consider a detox. Although one wouldn’t think that a detox could affect blocked sinuses and nasal allergies, it can. Your body naturally attempts to perform detoxes on itself, but a bit of extra help during the worst allergy months can go a long way. Avoiding sugar, wheat, and dairy can help you avoid allergy attacks. Oils like lavender, chamomile, and eucalyptus can also improve the effectivity of your spring detox. If performed correctly, a detox can be a safe, natural way to re-energize your body and improve your health. It can eliminate your unhealthy cravings and help you obtain a healthy weight, and it can give your immune system the extra boost it needs to combat this year’s widespread illnesses. Furthermore, if you’ve been feeling run-down, irritable, depressed, or out-of-control, a detox can help you center yourself. Think about it this way: you’re going to give your house a nice spring cleaning, so why not do the same for your body?